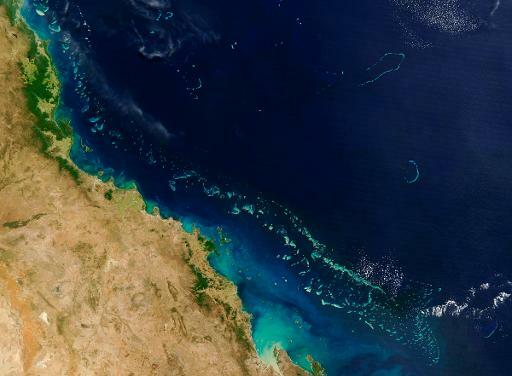 Sydney (AFP) – Conservationists on Wednesday slammed Australia’s approval for an Indian firm to expand a major coal port on the Great Barrier Reef coast, warning it would hasten the natural wonder’s demise. “The Great Barrier Reef is dying and (Prime Minister) Tony Abbott is hastening its death,” Greens leader Christine Milne told reporters. “(He) has made it clear that industrialising the reef, giving approvals to coal mines and gas facilities for his big business mates, is a much greater priority for him than protecting the reef and the 63,000 jobs that depend on it,” she said. Environment Minister Greg Hunt on Tuesday gave the green light to the project by India’s Adani Group, under what he labelled as “some of the strictest conditions in Australian history” governing environmental protection. Adani can now dredge some three million cubic metres from the seabed to allow for freighters to dock at the port in Abbott Point, lifting the facility’s capacity by 70 percent to make it one of the world’s largest coal ports. WWF Australia said the material dredged during the expansion would be enough to fill 150,000 dump trucks that “lined up bumper-to-bumper would stretch from Brisbane to Melbourne”, a distance of more than 1,000 kilometres (620 miles). Greenpeace said Hunt had ignored the “serious concerns of scientists, tourism operators, fishers and UNESCO” to approve a development just 50 kilometres (31 miles) from the pristine Whitsunday Islands. UNESCO’s World Heritage Committee is to decide in June whether to list the Great Barrier Reef as being in danger, Greenpeace campaigner Louise Matthiesson noted, “and this decision will cause alarm among the international community”. The reef is now formally considered to be in “poor” health by government scientists, with overall coral cover declining by 15 percent since 2009 due to cyclones and floods, pollution and attacks by the coral-eating crown-of-thorns starfish. The Great Barrier Reef Marine Park Authority — whose board is currently under investigation for its links to the mining industry — must now issue a permit allowing the dredge material to be disposed of within the park. It said it would reveal its intentions within the next 10 days. Hunt has also approved a major liquefied natural gas plant and transmission pipeline at Curtis Island, which is also within the reef marine park, for Australian firm Arrow Energy under 53 environmental conditions.